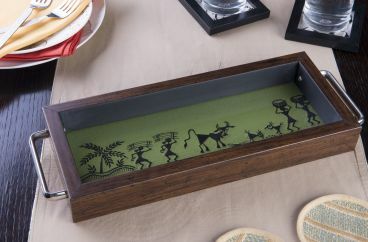 I Village Add the charm of traditional, embroidered Warli Art to your dining table with this Steel Handel Handmade serving trays online in india featuring embroidery on tray. You can use it as a wall hanging too! Buy wooden Serving Trays Online in India. 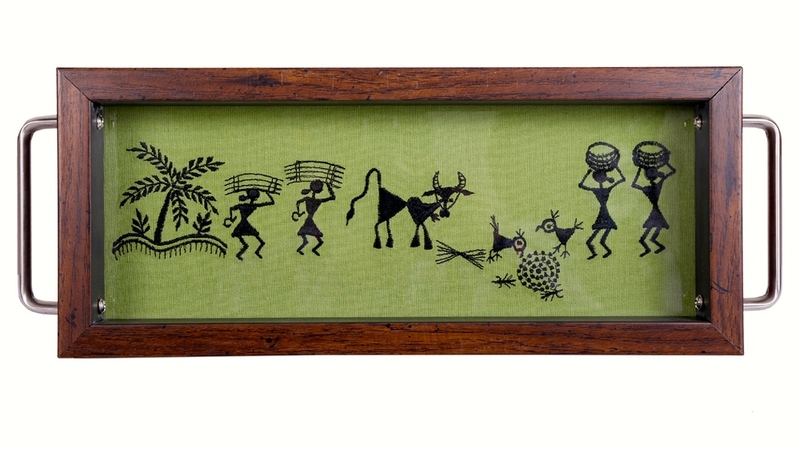 The vibrant tray captures the Warli music band coming to life on a cool fabric base, perfect for the winter season. 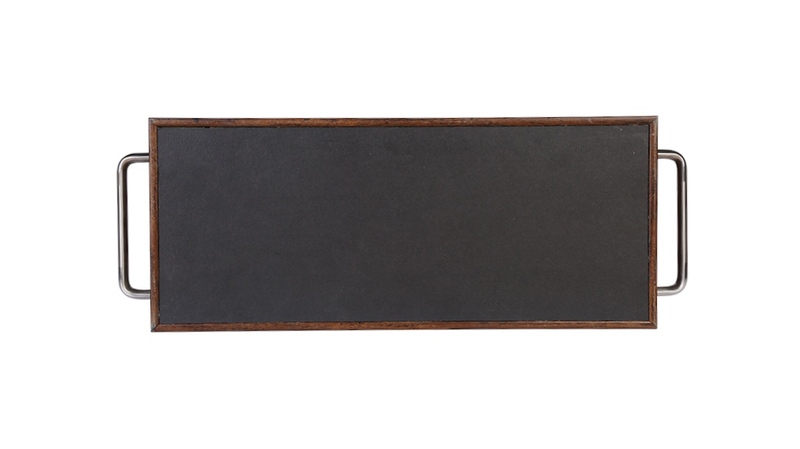 this handmade serving tray is great for decorative and display purposes. As the designer wooden tray is extremely easy to clean and equally durable, it can also be used as a kitchenware for serving purposes. The tray is finished with hand embroidered cloth on all sides, giving it a look that is unique and traditional. The rosewood colour is also a perfect finish, making the tray look royal and a must have for any kitchen or home. 100 % cotton fabric & made in india product. I Village brings to you products of contemporary use in soft furnishing, home decor, clothing and gifting, fused with a classic Indian vocabulary. Its essence is rooted in Indian designs, motifs and colors, inspired by our rich culture and heritage. It strikes a fine balance between contemporary style and classic charm. While all our products are thoughtfully designed at our Delhi studio, they are manufactured in villages of Bulandshahr (Uttar Pradesh – India), skillfully crafted using traditional techniques, skills and hand-based processes.